If you are struggling to sell your car because it has been damaged or longer runs but you are not sure what to do with it, then maybe you should consider scrapping your vehicle. It is a simple process that we can help you with. You will even receive some money back on a car that can no longer be used. Complete the online enquiry form or contact us with your vehicle details. We will contact you with a quotation and arrange collection of your vehicle. Your vehicle will then be collected and you will be paid via your bank account. 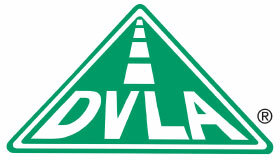 We can help you to fill out the relevant part of your V5C (Log Book) document correctly and then send it off to the DVLA. It really is quick and easy to scrap your car. If you have any questions that you would like to ask us about scrapping a car or van, then please to do not hesitate to contact a member of our team today.